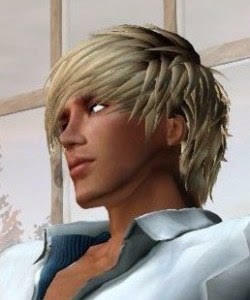 A FIRST-EVER within the LGBT Community in Second Life! 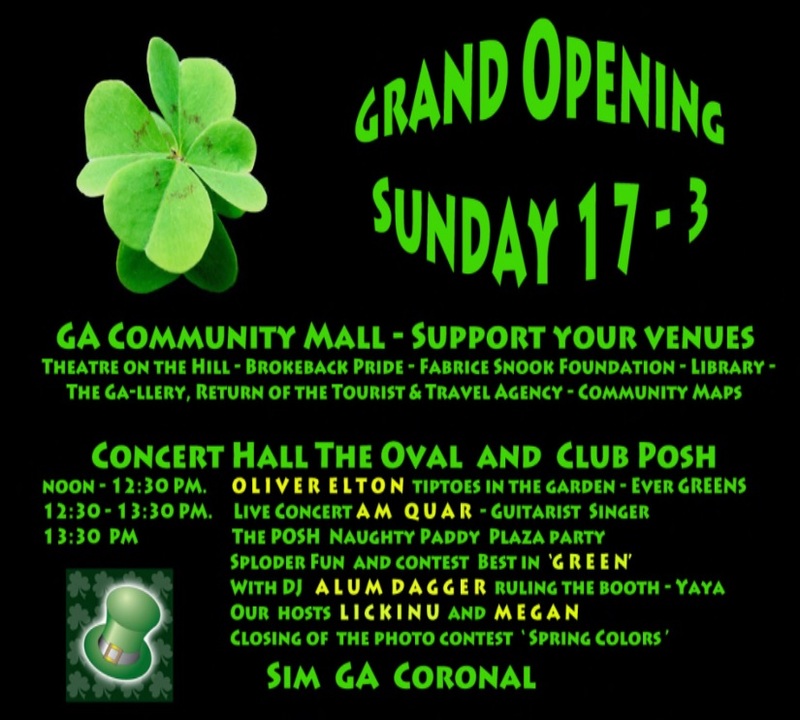 After many months of planning and construction, the newest service offered by the GA Coronal estate is a mall dedicated to non-for-profit organizations in the LGBT Community. 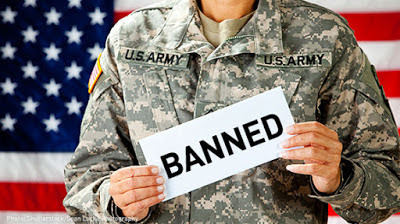 These organizations are not asked to pay any rent or lease for the spaces provided, however they can sell some of their products to help raise funds to maintain their varied goals and pass out their information to everyone. We've got some of these groups installed comfortably - and more on the waiting list as we continue to build! The new GA Library is ready to receive visitors as well with it’s welcoming space for people to relax in the new Community Mall complete with video-streaming of LGBT events courtesy of videographer and VJ, Teno Theriac. The Gay Land Office / Travel & Tourism Center is set to go for this weekend as is the outstanding Fine Art exhibition at the GAllery nearby! 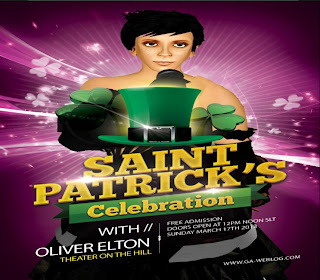 headlines the stage at the OVAL Concert Hall to get you in the mood for St. Patrick's day. A VERY special LIVE performance by SL performer, AM QUAR. Come hear AM rock the OVAL with his HOT guitar licks in Blues, Latino, Rock and Love Ballads! 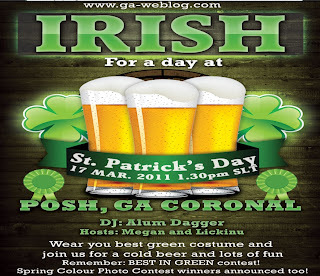 POSH Club continues the upbeat festivities with a 'Naughty Paddy Plaza Party' on the GA Coronal Plaza - featuring the awesome DJ Alum with leprechaun hosts Lickinu and Megan. 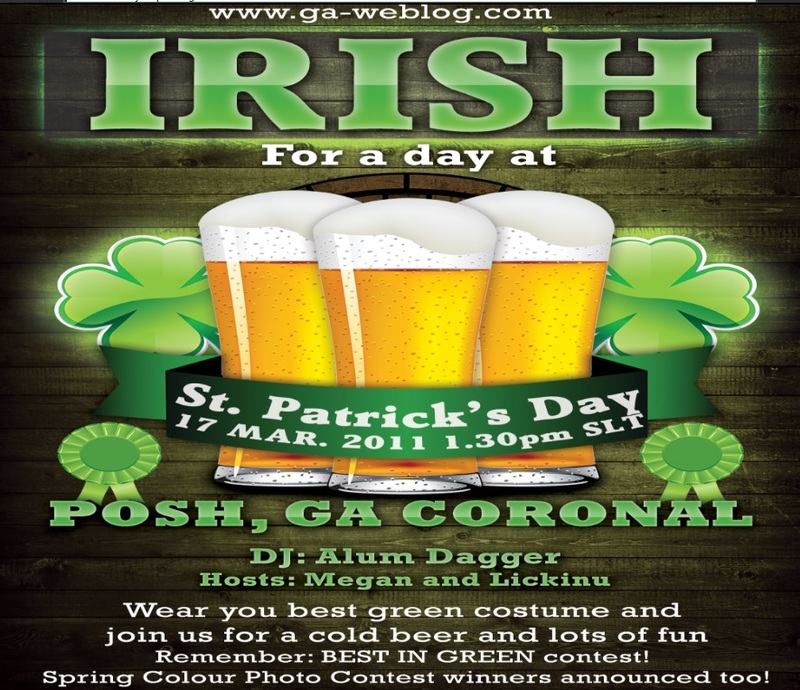 THE LUCK O' THE IRISH TO YOU ALL!